Hetauda Cement Industries Limited published written exam result and interview routine for various post. The written exam was held by Lok Sewa Aayog on 2075/02/09, 10,11,12,13 and 14. Candidates who passed written exam and listed for the interview should bring the admit card and original citizenship and should present before 1 hour on the day of the interview date. The interview begins on 2075/05/23. 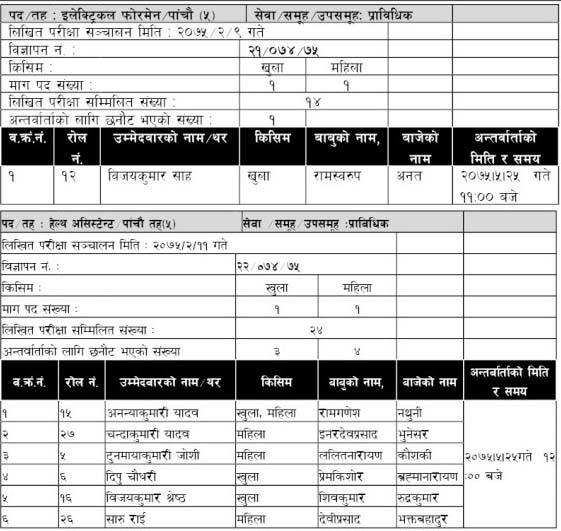 Check Written Exam Result and Interview Routine Hetauda Cement Industries on details below.